Elena Ferrante is the author of The Days of Abandonment (Europa, 2005), which was made into a film directed by Roberto Faenza, Troubling Love (Europa, 2006), adapted by Mario Martone, and The Lost Daughter (Europa, 2008), soon to be a film directed by Maggie Gyllenhaal. She is also the author of a Frantumaglia: A Writer's Journey (Europa, 2016) in which she recounts her experience as a novelist, and a children's picture book illustrated by Mara Cerri, The Beach at Night (Europa, 2016). The four volumes known as the "Neapolitan quartet" (My Brilliant Friend, The Story of a New Name, Those Who Leave and Those Who Stay, and The Story of the Lost Child) were published in America by Europa between 2012 and 2015. 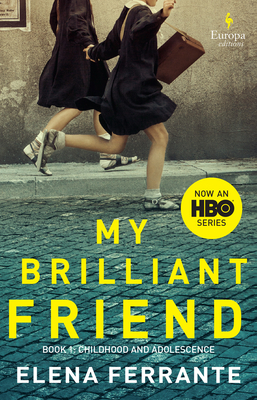 The first season of the HBO series My Brilliant Friend, directed by Severio Costanzo premiered in 2018.Ann Goldstein is an editor at The New Yorker. Her translations for Europa Editions include novels by Amara Lakhous, Alessandro Piperno, and Elena Ferrante's bestselling My Brilliant Friend. She lives in New York.